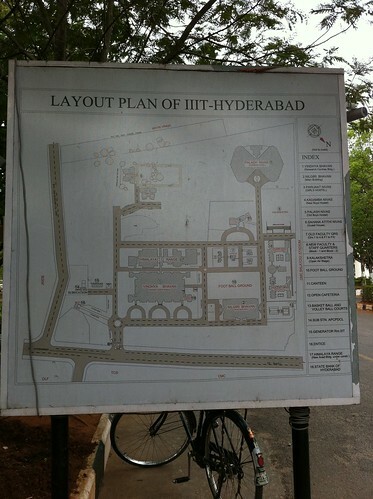 IIIT Hyderabad Map, a photo by Mankoff Dey on Flickr. This is a map of the campus at IIIT Hyderabad. Our home is located at the top of the map at the end of the road. The academic building is at the bottom near the three semi circles (driveways). It should be interesting to look back at this list in a year and see what’s been done, what hasn’t, and what unpredictable things have been added. Just to keep things simple, I’m only going to put work stuff down here. Finish hanging projects. I have: Three projects that require analysis only and two-three projects that require writing code. I plan on doing these for the most part in series, unless I am able to recruit local talent to help with the latter two. It’s possible they won’t all get done, but I hope at least some will! 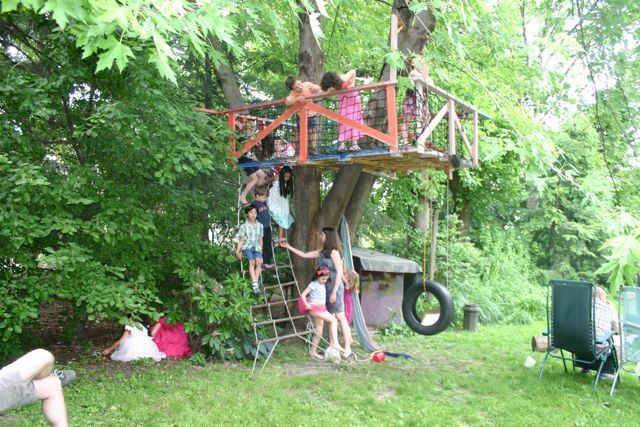 Estimated time commitment: 4-6 hours per week. Start new projects that I’ve already thought about. I have two in mind. Estimated time commitment: 4-6 hours per week if done in series. Continue supporting students. Estimated time commitment: 3-4 hours per week of meetings, 1 hour per week of prep & planning. Meet new people, start new projects, develop new ideas. Estimated time: 4-6 hours per week. Ok, that’s the first time I’ve attached time estimates to this list. I guess I should add them up and see if I’m crazy! It looks like I’ve scheduled between 26 and 36 hours per week (depending on whether my min or max estimates are correct). I must admit, I’m surprised it isn’t more. This means that I could be significantly underestimating some things and still come out ok. I am prepared to cut some things if needed, but I’m pleasantly surprised that it all seems to fit.